Since 2011, Equinor has reduced CO2 emissions from its logistical operations for the Norwegian continental shelf (NCS) by 600,000 tonnes. The company’s ambition is to halve emissions in the NCS supply chain by 2030. On Friday 18 January, NorSea will open a shore-to-ship power supply station at the Dusavik supply base by Stavanger. This base is the latest in a row of supply bases where vessels on Equinor contract are offered shore power while at berth and charging of their onboard batteries. Shore-to-ship power supply is one of several measures to reduce emissions in logistics. Thirteen supply vessels on long-term contracts with Equinor have installed shore power systems on board, and a further five vessels in the contract portfolio will be prepared for shore power supply during 2019. “We need broad cooperation if we are to reduce emissions from our supply chain. Equinor plays a key role in this effort, as we have many suppliers who must be team players if we are to cut emissions. We influence operations by our management of day-to-day activities, commercially by rewarding low emissions in contracts and strategically by supporting a business that utilizes vessels, vehicles and helicopters in a proper way,” says Philippe F. Mathieu, head of Equinor’s joint operations support cluster. Total emissions have been reduced by 37%, while emissions adjusted for reduced activity have been reduced by 26%. Equinor has an ambition of stepping up its emission reduction in the NCS supply chain from 26% to 50% by 2030, based on 2011 level. 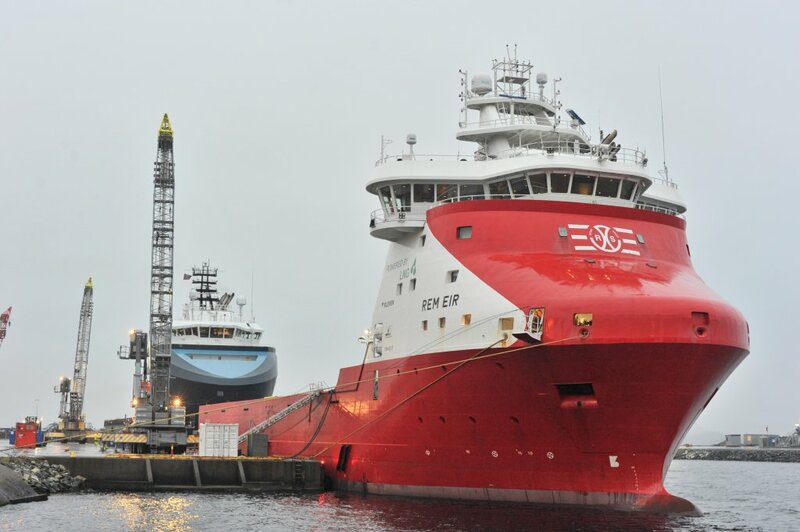 An increasing number of shipowners with supply vessels in the Equinor portfolio are prepared for hybrid battery operation and shore power supply. A central financial contributor for shipowners aiming to adapt their vessels to hybrid battery operation and shore power supply, the NOX fund gives financial support based on how much the systems are being used up to a ceiling. The Norsea Group and its subsidiaries have been active in developing four of the bases used by Equinor for its supply activities. Financial support by Enova has made the investments possible.